Seeds are the most common food for birds, but you should know that they are not all the same, so it is very important to know how to choose them in an intelligent way. And every type of bird prefers a different kind of seed. For example, while the Cardinals usually like the sunflower seeds of black shell, the finches prefer the pomegranates and thistles. And the birds that feed on the earth, like pigeons, sparrows, scrapers, and reeds, like millet seeds more. 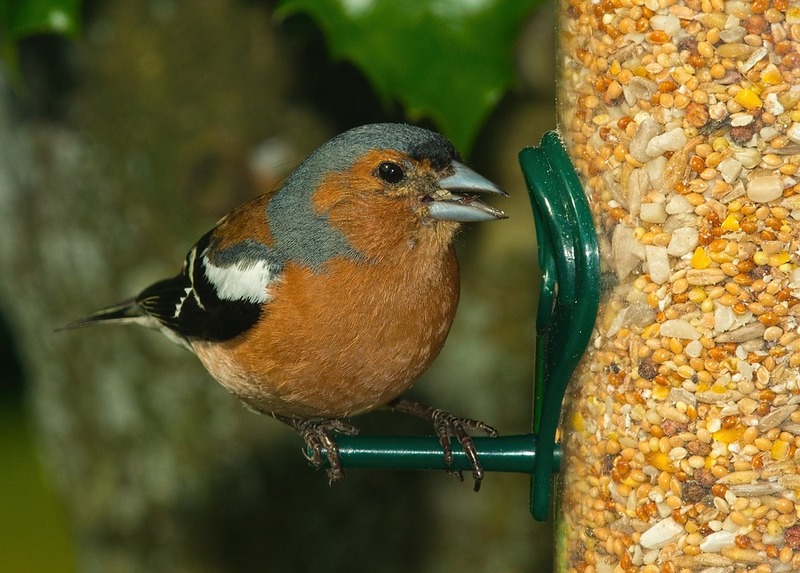 Next, we explain what are the most common bird seeds and what properties each of them present. Canaryseed is an oval seed with a bright yellow color and a pointed shape. They are usually consumed by the same bird species that include millet within their usual diet, which in addition to serving as food serves them to entertain. They have a high starch content and have very little fat, so it is advisable to mix with others that have a higher proportion of fats. Millet is a rounded seed that is essential in the diet of the inseparable and the parakeets. On the other hand, the great parrots usually despise and ignore this type of seeds for birds, with the exception of the Eclectus. In the case of the birds that are breeding, the best choice is Panizo, because being softer, can be digested more easily by chicks. It is a seed of white color and black stripes, oval-shaped and flattened appearance. We can find them white, blacklisted and black. The preferred ones by the parrots are those of white color, but the Granívoros prefer the small listings. Although most birds are very fond of them, they should never be the only food in the diet. In addition, the salted for human consumption should never be provided, but be purchased at a specialized bird food store. Remember to choose them always great, because there are many birds that do not even make the effort to open the small, which means that a large part of the amount that we buy will not be used by our birds. The best hemp seed is the greyish-bronze color and with a slight green touch. The grain is white and has a taste very similar to that of walnuts. A very strong seed that can be crushed to facilitate that they can be ingested by the birds. In small quantities It is one of the most valuable foods for Canaries, as they are rich in oils and vitamin E. It also greatly improves the condition for reproduction. With which, if you want to breed, it is advisable to supply a teaspoon for each one a day. Flax seeds are dark in shape and flattened. Very good for shining plumage. In fact, during moulting, it is necessary to increase the ration. Also, in small doses it helps to make digestion better. Red Poppy produces seeds for very small, bluish-grey, kidney-shaped birds. But the white ones give rise to a seed of cream color that is preferred by most of the birds, especially by the small granívoros. However, it is necessary to avoid supplying it in excess, because it favors the retention of liquids and makes the bowel movements much more liquid. The oat seed is yellow and can be found in bags of whole or broken seeds, being able to be supplied to our dried or soaked birds. An ideal food for the canaries they are breeding, since oats are an easy-to-digest seed that can be easily disposed of. They also help stimulate metabolism.